These Generation 2 refills fit the Generation 2 Pitcher. As shown in the photo, this filter has two parts. THIS IS THE REPLACEMENT filter for the fluoride plus water filter pitcher. 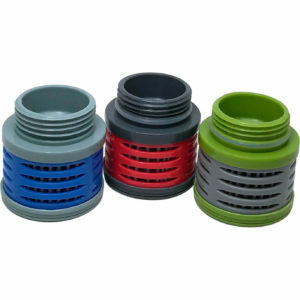 Select quantity of 1 to get a single replacement filter with 2 filter parts. Shipping and handling to get one is $7.95. Shipping cost for 2 is $9.95. 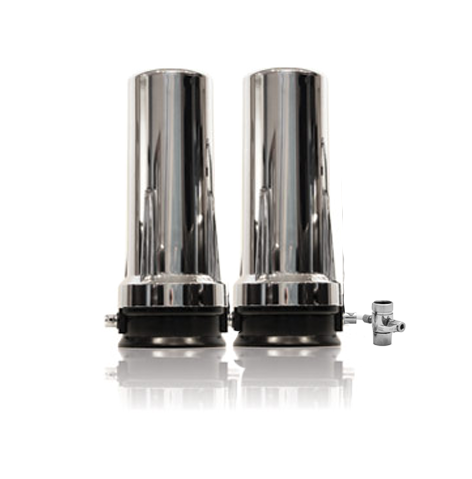 Additional per-filter discount when ordering 3 or more. See below for details. CLICK HERE TO SEE A COMPLETE NEW PITCHER. All the pitchers and replacement pitcher filters we sell reduce fluoride. This pitcher filter is designed for municipally-treated water, not outdoor usage. Fluoride has been shown in independent tests to be reduced by up to 89%. Independent testing has shown nearly all contaminants are removed at levels above 90%. Chlorination byproducts (the risk with chlorine) were removed at 99.6% or better in independent tests. These results are expected to trail down over usage, so be sure to change your filters in a timely manner. Change filters every six to eight months. 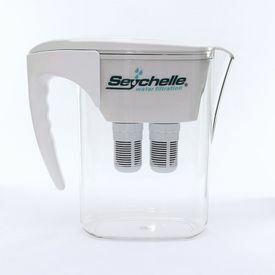 Replacement water pitcher filters last for up to 200 gallons in most circumstances. A very small percentage of customers find that filters need to be changed more often. Price is well below list price, plus there are additional quantity discounts.